Frigid weather continues in my part of the world. Generally, I don't like the cold and tend to hibernate in the winter, but this project keeps getting me out the door. This photo was taken along a stream bank. 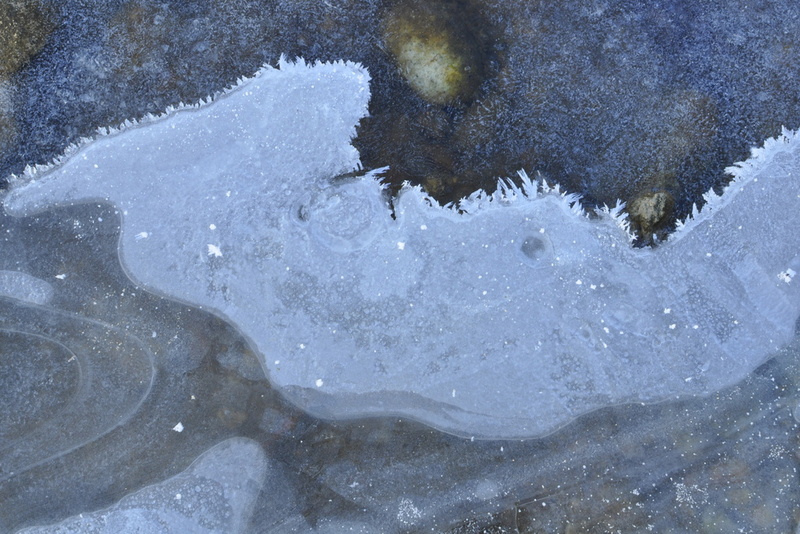 The water is freezing and creating beautiful designs. Amazing what you can see when you stop and really look. Great abstract Lisa! Thank you for the follow! I never get tired of ice patterns. Beautifully done. @Skip Tribby @Ross Walker Thank you both! It's so nice to receive your comments. Nice shot!! Lisa you have keen senses, very watchful. keep it up!! Very pretty! I also find myself getting out and taking much needed walks on these cold days. this is fantastic. love the flow and the details. @Hemu @Mary @Nicole @Mama lola Thank you all for the comments. They made my day! I enjoy following your daily entries as well.